With each passing year, science, technology, and the march of time shine light into the craggy corners of the universe, making the fears of an earlier generation seem quaint. But this light creates its own shadows.The Best Horror of the Year chronicles these shifting shadows. 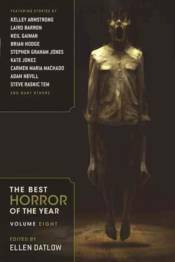 It is a catalog of terror, fear, and unpleasantness as articulated by today�s most challenging and exciting writers.